Universal Studios has two parks in Orlando, Universal Studios and Islands of Adventure. Universal Studios has the older rides like Shrek, Terminator, MIB, The Simpsons, which are all fine but you can tell they are pretty old and worn out. 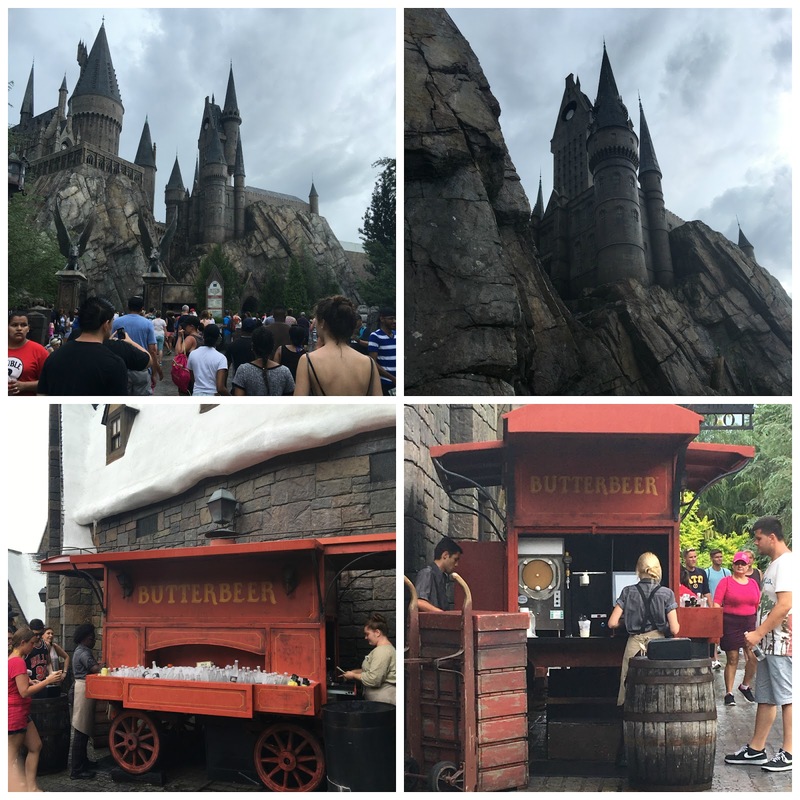 We started at this park because we had visited the other one last year and this time we wanted to check out the Harry Potter’s Escape From Gringotts ride, and of course, we took advantage of the two hour early entrance we had by staying at one of their resorts. It’s actually a pretty neat ride but in all honesty, the Harry Potter and the Forbidden Journey ride, which is located at the Islands of Adventure park, is way better. So how do you get on both? You have to buy two park entrances! See how they get ya? But you’re on vacation so, you gotta do what you gotta do. 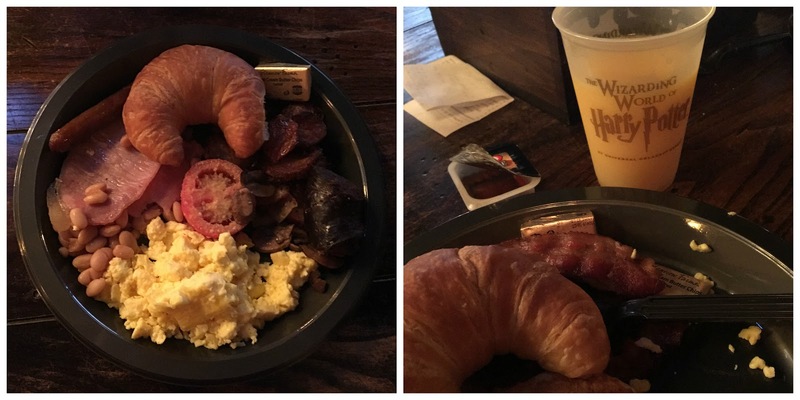 At Universal Studios we had breakfast at The Three Broomsticks, a Harry Potter themed restaurant, which was super expensive and in all honesty, not very good. I have come to terms with the fact that this is the norm when it comes to food sold at amusement parks because it is just as bad at Disney World and Disneyland. You would think that they would up their game by now and offer better dining options after so many years, but unfortunately, that is not the case. 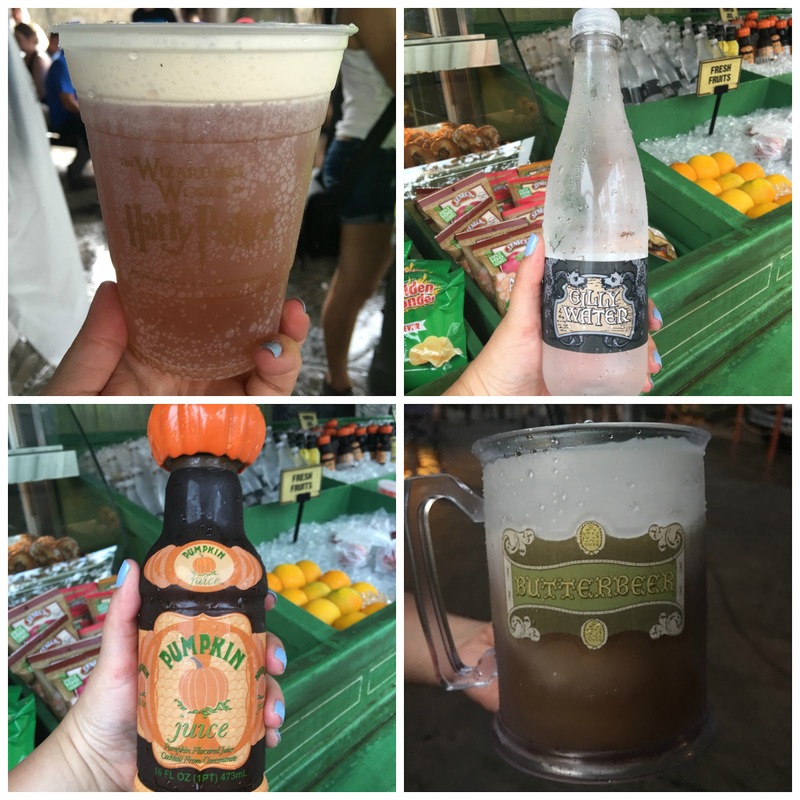 We also had the classic butterbeer which is delicious! If you haven’t had it, I can only describe it as a salted caramel beverage. You can get it regular or frozen and they even sell a pretty collector’s mug that you can purchase for an additional price. Another drink that I tried was pumpkin juice and that tasted a little bit like apple juice mixed with pumpkin. To this day I’m still not sure if I liked it. After spending the morning at the Universal Studios park, we decided go have lunch at one of the fast food restaurants they have out front and take a well deserved break. After that we were ready to get going and enjoy Islands of Adventure. To get there we took the Harry Potter Hogwarts Express (the famous Harry Potter train for those not familiar with the books) which connects Universal Studios to Islands of Adventure. The line was longer than usual because it rained buckets! Typical summer weather in Orlando. 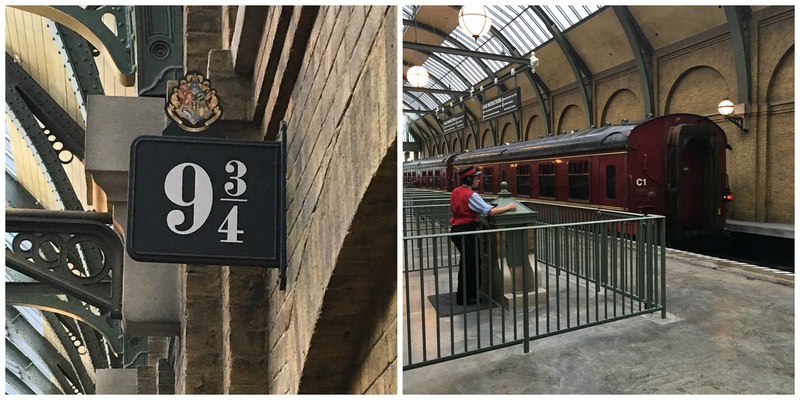 But once we were on platform 9 3/4 it was all worth it. You really feel like you’re actually riding the train! It was pretty awesome. Once we got to Islands of Adventure we were ready to get on all of our favorite rides but… it wouldn’t stop raining! This was a huge bummer because they shut down all the rides for over four hours and when it stopped raining and they reopened them we were so exhausted that we decided to go back to the hotel. 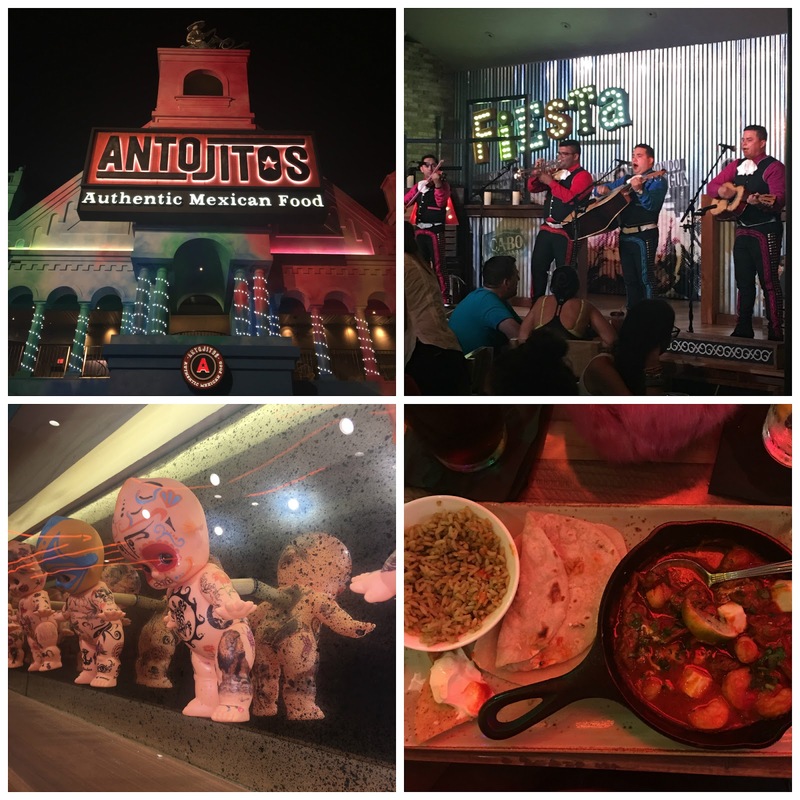 But before doing that, we had a fantastic dinner at Antojitos, a Mexican restaurant located outside the park where the food and the entertainment were fabulous! So if you’re there, make sure to check it out.